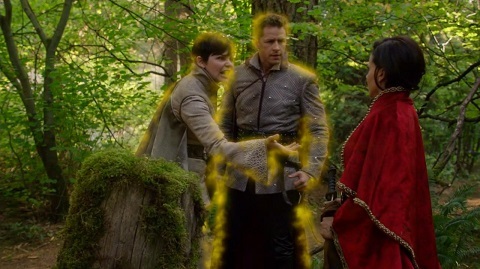 In tonight's episode "Tale of Two Sisters", Emilie de Ravin is frozen briefly about 25 minutes in. It's mostly a video freeze, but there's a hint of a live freeze in one of the shots. That's episode 1 of Season 4, just in case anyone has trouble looking it up. About 17:30 in if you're watching online. Definitely brief but hey, no eye movement! They're learning! 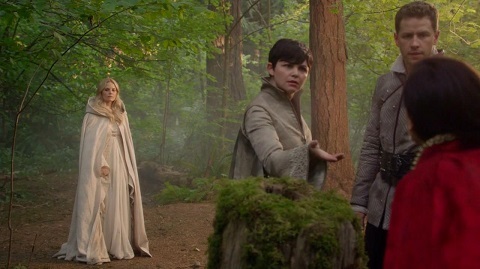 In episode "Smash the Mirror part2", Elizabeth Lail is frozen in ice by the snow queen. 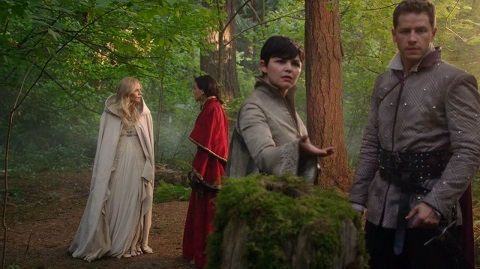 New freeze in S5E05 "Dreamcatcher", Emma Swan use a freeze spell on Snow White and Prince Charming in about 3 minutes and they are unfrozen in about 37 minutes. Episode 14 of the current season sees Rachel Shelley's character (Mulia, I think her name is?) frozen briefly while bent down. Not a great freeze, but she's quite attractive.